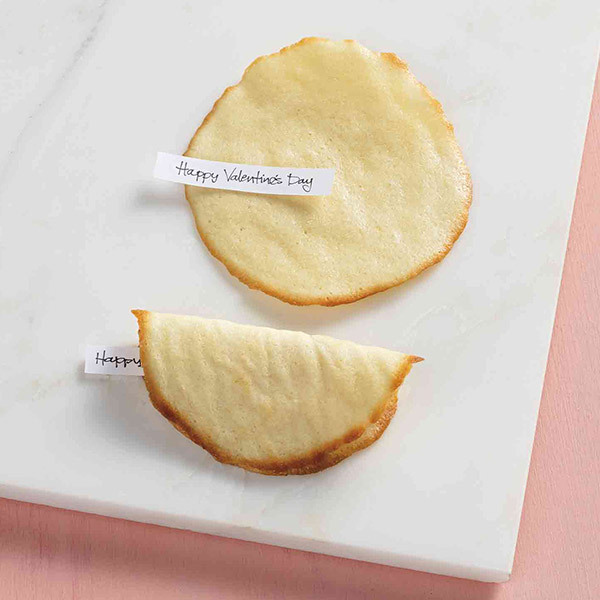 Say how you really feel with these delicious valentines. 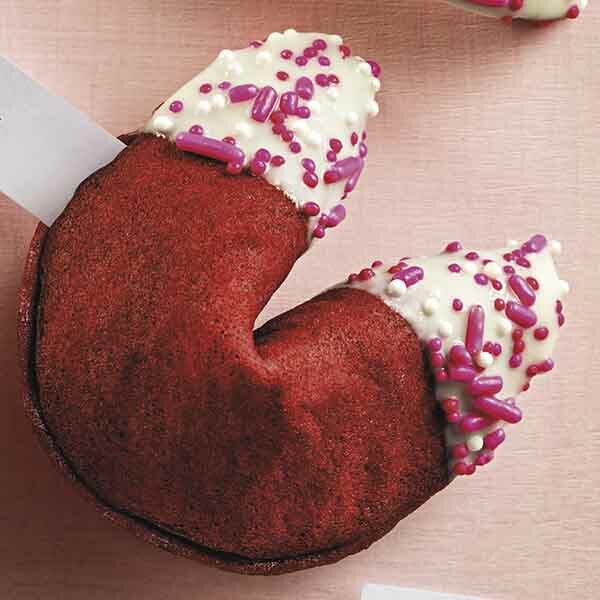 Baked from scratch and filled with love, these fortune cookie valentines are sure to show that special someone just how much they mean to you. 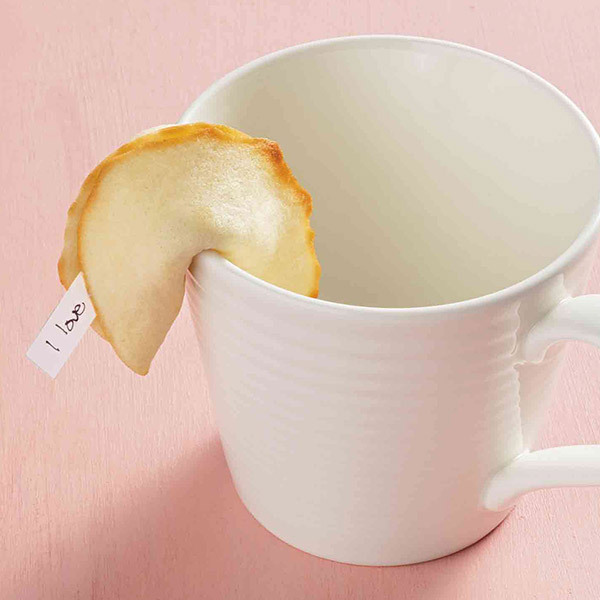 Write fortunes on small pieces of paper and set aside. Preheat oven to 400 degrees. Using a pencil, draw two 3 1/2-inch circles on a sheet of parchment paper. Place paper, pencil mark down, on a baking sheet and set aside. In a small bowl, beat 1 egg white, 3 tablespoons sugar and 1⁄2 teaspoon vanilla extract. Add 1⁄4 cup flour; mix well. If the batter is too thick, add water 1 teaspoon at a time until thin enough to spread. 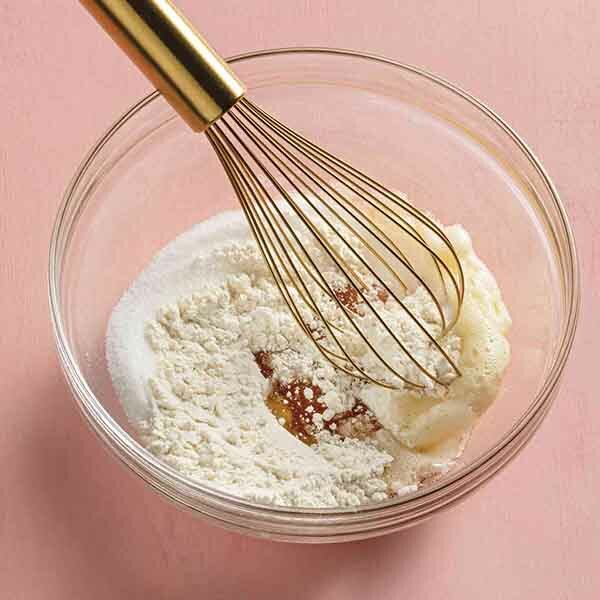 Spread 1 tablespoon batter over both circles using the back of a measuring spoon. It should be as thin as possible. Bake 4-5 minutes or until edges are browned. Use a thin spatula to carefully remove cookies. Place a fortune in the center of each cookie and fold in half. 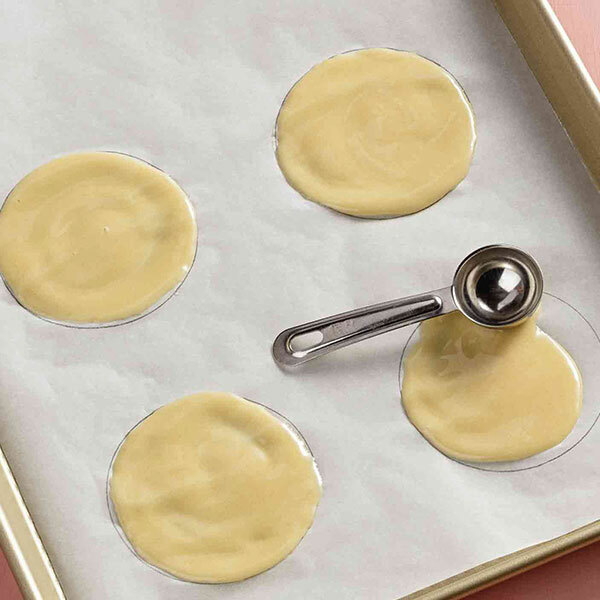 Place center of cookies over the rim of a glass; gently press ends down to bend in middle. Set cookies in a muffin tin to help keep their shape. Repeat with remaining batter and fortunes; recipe makes about 12 cookies. Add a choco-lot of love at the end! 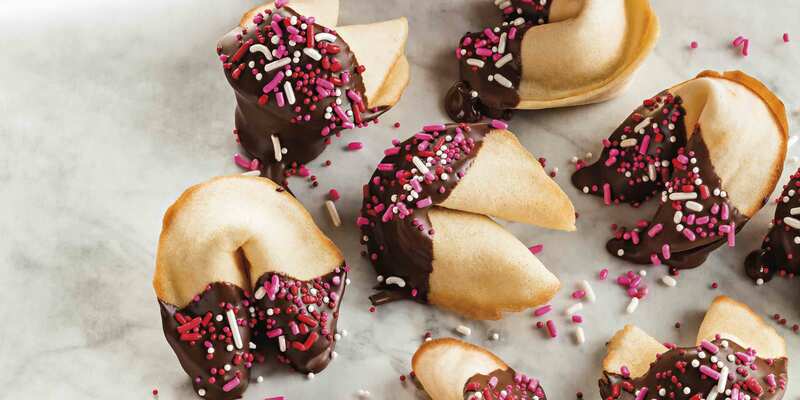 Dip finished fortune cookies in melted chocolate and decorate with sprinkles for an extra-tasty treat! Add 8-10 drops of red food coloring to cookie batter. Dip finished cookies in white chocolate (instead of dark or milk chocolate) and top with red, pink and white sprinkles.